Its hardly been two weeks since release of iphone 7 and a security researcher claims that he has already jailbroken in less than 24 hours. Todesco explained that Apple made the entire process much harder with Iphone 7 but not 100% secure yet. He doesn’t plan to make the hack public but plans to inform Apple and get it fixed. 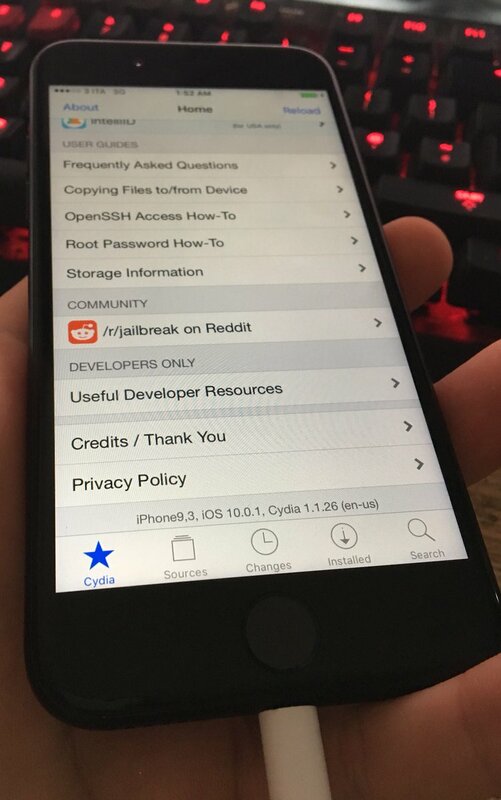 He announced the jailbreak on twitter says ” this is a jailbroken iPhone 7″ includes a screenshot of the terminal with root access. He has uploaded a video on Youtube as a proof but the legitimacy of it is still questioned by many researchers since the click button action is seen which doesn’t apply to Iphone7. This is not the first time such hacks have taken place. Start of this year, developers jailbroke iOS 9.3.3, but the vulnerability was patched by Apple and the company subsequently stopped signing the version of iOS.